I love fashion and I love runways. 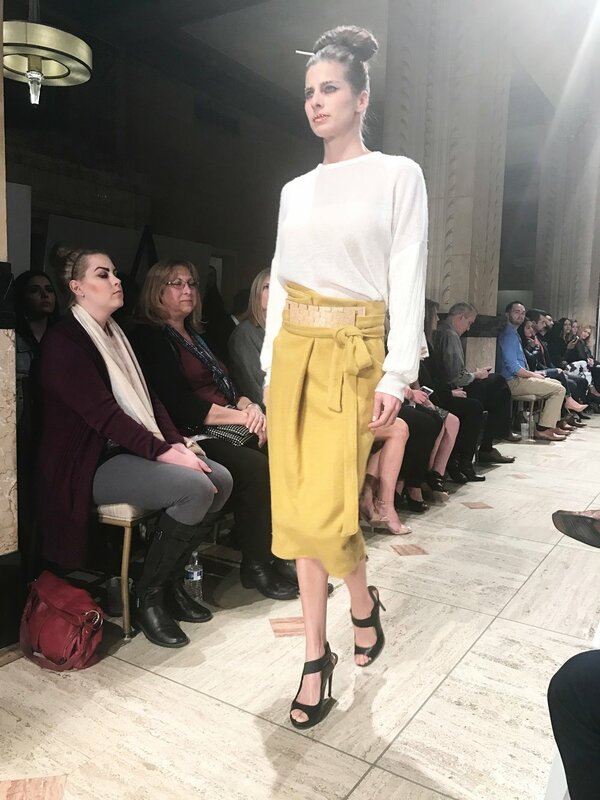 I got my fix this weekend with Kansas City Fashion Week and as I was watching the models stomp through the Grand Hall I couldn't help but create workwear ensembles in my head. It’s always fun to see what’s in store for the season ahead, but the trends don’t always translate well to the real world and especially the workplace. However, with the right eye, some resourcefulness, and a hunting spirit you can bring some really strong and practical high fashion staples right into your closet. As I build my wardrobe, here's what you can expect see me wearing to work in line with spring trends this season. You could actually rock any long dress with boots for a new kind of professional look. Layer it with your favorite blazer and you're boardroom ready. It's perfect for the woman that loves the stark contrast of a loose bottom and fitted top. This was definitely a fave on the Kansas City catwalk. What a way to slim the waist and calves. I love the fashion cycle because we continue to come up with new ways to wear the blazer. Just when I thought it couldn't get any better, now we're oversizing underneath it. This is the new powerdressing. Pair it with cropped pants and a heel and you'll own the room. Thank goodness for sleeves because the same old, same old tops are getting old for me. Sleeves are the star of this season’s trends. From puffy shoulders, to square-shouldered-blazers (uggh! I thought we left that behind for good), to the deconstructed look, I’m ready to make workwear interesting. The best thing to happen to footwear since the knee high boot. Get ready because socks and heels will become my signature spring and summer look. Create a monochromatic look or contrast your colors. Whatever you do, stick with skirts to the knee (or below) or a cropped trouser. Short skirts will blow this look. This is my interpretation of 50s styling in 2017. 5. Yellow - That's it, just yellow. Yellow lit up the runways in all the major fashion cities and is what I would classify as a power work look. Give your co-workers a chromatic shot in the arm by wearing yellow this season. The trench coat 2.0 is the reinterpretation of the timeliness classic and is all over the catwalks. This is a must have – buy it and wear it for years. Forget Valentine’s Day, this is just great style that continues to show up in everyone’s runways. I couldn’t be happier! From deep cherry to baby pink these ensembles will be head turners. 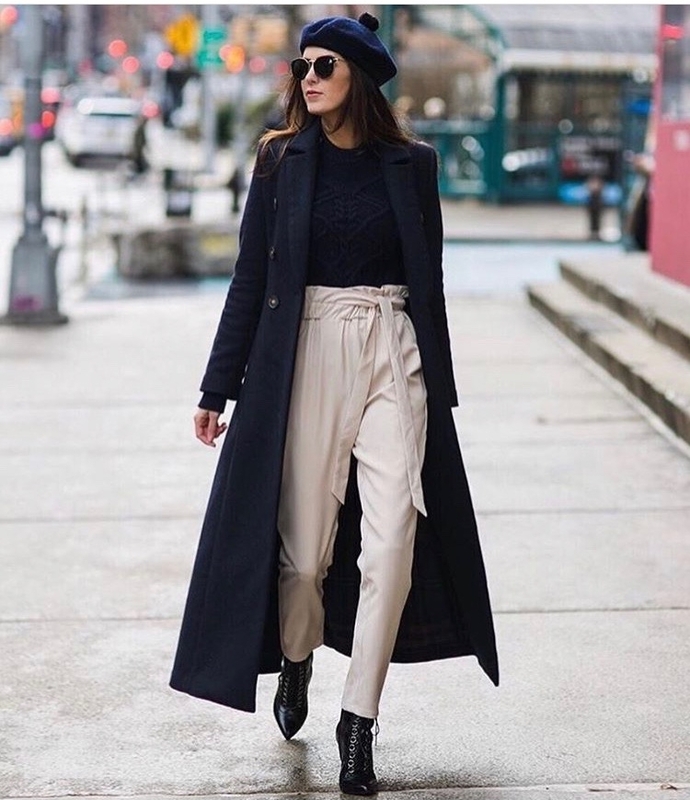 Big bell culottes, culottes trousers, or whatever you want to call them, have become my “new pant” for big meetings. I covet my purple culottes from JCrew. Worn with a sky high heel, fitted top, and layered sweater or blazer; ‘looking the part’ was never so stylish. Bonus if it’s faux leather. It’s arty pop and fashion has gone graphic. Clash your styles, be bold, you honestly can’t go wrong.